Vela Technologies managed clinical studies of a new Anesthesia Monitoring product measuring depth of anesthesia. This project involved contract negotiation, collaborating with hospital personnel to refine the study protocols, ensuring regulatory requirements were satisfied, monitoring progression of the studies, and review of the resulting clinical papers prior to publication. A European manufacturer relied upon the expertise of Vela Technologies to initiate a clinical study with a leading medical institution in the Northeast. Vela Technologies guided the client through the process, making recommendations for study funding and structure and serving as liaison with the institution's legal and clinical departments. Vela Technologies managed clinical evaluations of a new Vital Signs monitor, identifying prospective evaluation sites, coordinating all activities, and assessing the results. Study findings were instrumental in the identification, documentation and mitigation of potential product performance issues. A start-up conducting a clinical trial for a new Atrial Fibrillation treatment option needed to accelerate the rate of patient enrollment into the study. 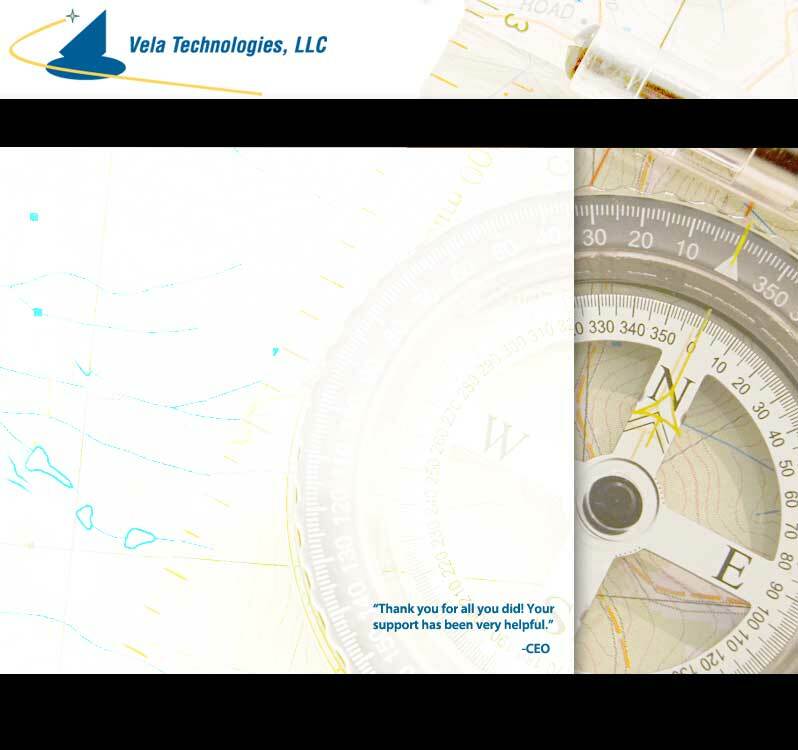 Vela Technologies effectively managed a wide variety of outside vendor and internal initiatives that resulted in increased patient recruitment activity and satisfaction of corporate goals. Vela Technologies managed the development of several clinical white papers on Patient Monitoring and MRI technologies for a major international healthcare organization. These papers conveyed the unique applications and benefits of the products to prospective customers as well as improved product knowledge within the client's field sales organization.